You will find a very common statement floating around in the companies “ I WANT MORE LEADS” . 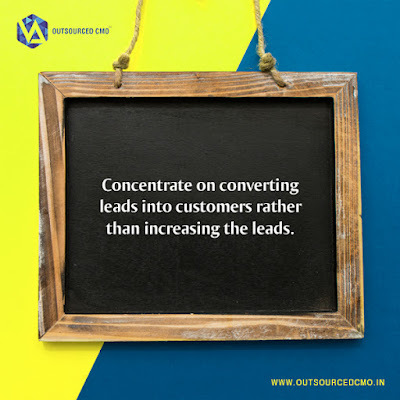 Nothing wrong in the same but we need to realize there is a limit that a lead can be generated in a specific budget , cos after certain limit the CPL will become constant & the only way to optimize the #marketing budgets is to focus on increasing the conversions from the same set of leads. There are various ways of increasing the conversions , re targeting , re marketing , drip marketing etc..